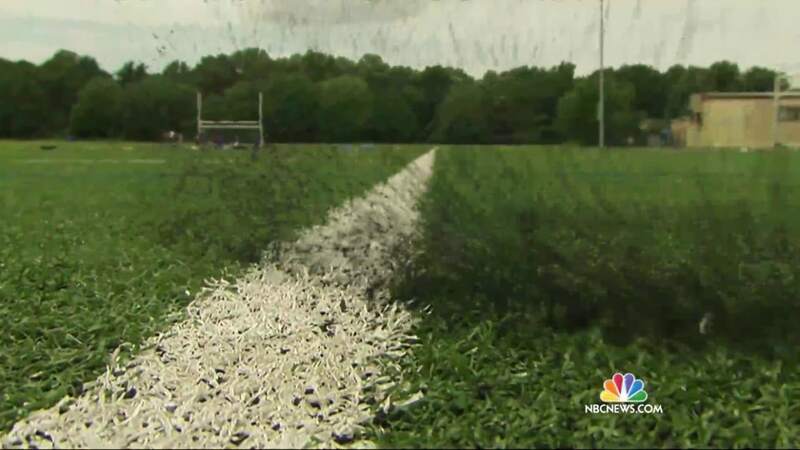 Three federal agencies are teaming up to investigate the safety of crumb rubber artificial turf used in playing fields and playground all across the country — the subject of a series of NBC News reports. 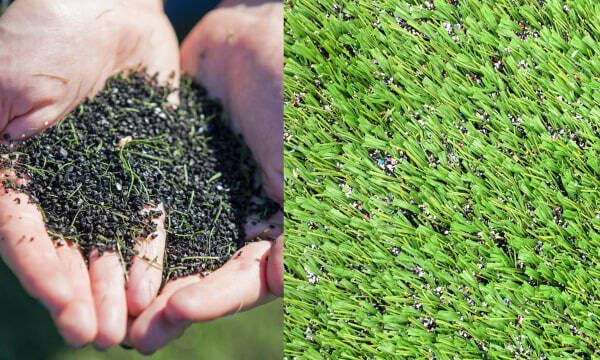 The Environmental Protection Agency, the Centers for Disease Control and the Consumer Product Safety Commission announced an “action plan” on Friday to answer questions raised about synthetic turf made from recycled tires and possible risks for young athletes. “Some of the government’s best and brightest scientists are working to identify what is in recycled tire crumb, identify ways in which people may be exposed to it, and determine if it is harmful,” CPSC Chairman Elliot Kaye said. The announcement came three weeks after Sens. Bill Nelson, D-Fla., and Richard Blumenthal, D-Conn., asked President Barack Obama to spearhead a comprehensive study of the playing surface. While critics and supporters of crumb rubber turf don’t agree on whether the surface poses a health risk — the industry says studies have shown no link with illness, while some parents and activists demand more testing — all sides want federal regulators to take a clear public position. The announcement was welcome news to Jon and Laura Damm, environmental lawyers and parents who live in Fairfax County, Virginia, and have been pushing for local authorities to stop using crumb rubber in athletic fields. “I think it’s fantastic…This really provides us with a lot of hope,” said Jon Damm, who also plays and coaches lacrosse. He said that cities across the country should take note of the feds’ assessment that existing studies are not comprehensive enough. “Hopefully they’ll take a pause and use one of the alternatives and see how this plays out,” he said. The Synthetic Turf Council, an industry group, also said it supports the federal effort. “We have consistently said that we support all additional research,” the council said in a statement. “At the same time, we strongly reaffirm that the existing studies clearly show that artificial turf fields and playgrounds with crumb rubber infill are safe and have no link to any health issues. “We hope the federal government’s involvement, which we have been encouraging for years, will settle this matter once and for all, put parents’ minds at ease, and validate past and recent due diligence by public officials,” it added. The multiagency action plan calls for scientists to test different types of crumb rubber to determine what chemical compounds they contain and whether they are released when a person comes into contact with them. “Once we better understand what chemicals are in tire crumb, we will also be able to search existing databases of information to understand the potential health effects of those chemicals,” the agencies said. The feds plan to reach out to athletes, parents and industry representatives and draft a report by the end of the year. In 2008, the CPSC declared that crumb rubber artificial turf was safe to play on, after the agency performed limited tests for lead on artificial turf’s nylon ‘grass’ blades. Despite multimillion dollar efforts on the state and federal level to study crumb rubber, the difficulty of evaluating risks posed by chemicals and carcinogens means that parents may never know for sure whether turf, or rubber playground mulch, are safe for young children, Chairman Kaye said. 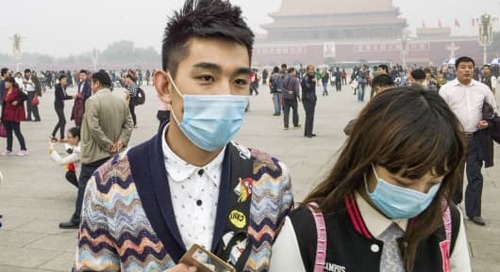 Genetics, other environmental exposures, diet and other factors all play a role in determining health risks. The post Feds Finally Take Action on Crumb Rubber Turf appeared first on IAQnet Live Wire.